With Civilisations AR you can use the app to look at wonderful artefacts from around the world at home, at school, out on a walk…anywhere! 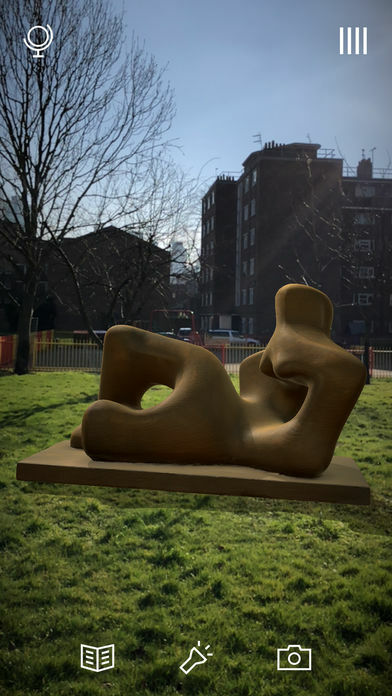 Bring art and culture from across the world to you with this BBC Augmented Reality app. Explore beneath the surface of Renaissance masterpieces and discover the secrets of ancient Egypt. Putting history in your hand - the BBC's first ever Augmented Reality app 'Civilisations AR' brings art and culture direct to you from across the world. Discover the secrets of ancient Egypt, reveal hidden layers beneath Renaissance masterpieces and learn more about the origins of these cultural treasures and the people who made them. Treasures to be found include an ancient Egyptian mummy from the Torquay Museum, Rodin's The Kiss from the National Museum of Wales, iconic sculptures from Henry Moore and Barbara Hepworth and masterpieces by Tintoretto, Bellini and Turner. This free AR App forms part of a major collaboration between the BBC, Nexus Studios and more than 30 museums from across the UK to mark the launch of the new landmark arts and culture series, Civilisations. Please treat these cultural treasures with respect when enjoying and sharing this AR experience. 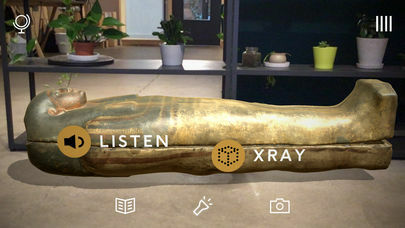 Bring realistic, to-scale artefacts from History into your own home using cutting edge Augmented Reality technology. Move, scale and rotate the collection, allowing you to become the explorer. Use the magic Spotlight to reveal audio guides and special features. Use the X-Ray feature to discover history's secrets hidden within - see inside a sarcophagus or what lies beneath a painting. 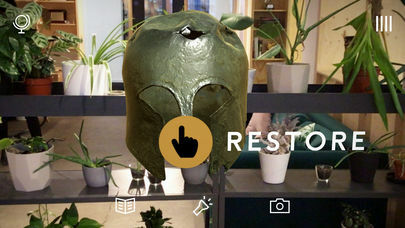 Rub through the layers of history with Restore, bringing lustre to a Greek Corinthian helmet or colour to a faded Roman Cockerel statuette and find out what they looked like when new. Translate hieroglyphics from the British Museum's iconic Rosetta Stone. 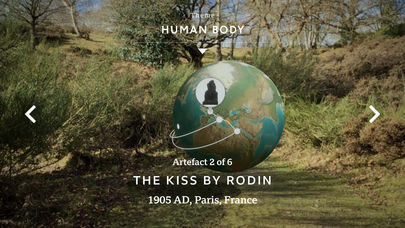 Navigate the collection geographically in AR, using an AR globe or via the curated themes. Take and share photos of the objects in your home, garden or school.